The Australian Institute of Project Managers (AIPM) has awarded ASC Shipbuilding for its role in building the Navy's new Hobart Class Air Warfare Destroyers. The AIPM awarded its defence/aerospace prize to ASC Shipbuilding for the installation of the six main propeller shafts in the three destroyers. The process involved the installation of 15-metre-long, 20-tonne main shafts was a major step in building the highly complex, 147-metre-long warships. AIPM found that the ASC Shipbuilding team delivered the milestones safely, consistent with project management best practice and achieved consistent efficiency improvements throughout the three-build project. Time savings of more than 50 per cent were achieved on ship three, compared with ship one – an efficiency improvement reflected cross ASC Shipbuilding’s role as the warship platform builder. Judges praised the exemplary work of the integrated project management team and the lessons learnt in transitioning from ship one to three, which resulted in a successful outcome for the program. The submission from ASC Shipbuilding acknowledged the collaboration between ASC Shipbuilding’s integrated project team and AWD international capability partners Bath Iron Works of the US and Navantia, the AWD's Spanish designer. ASC serves Australia's naval defence capabilities, with more than 2,500 employees across three facilities in South Australia and Western Australia. 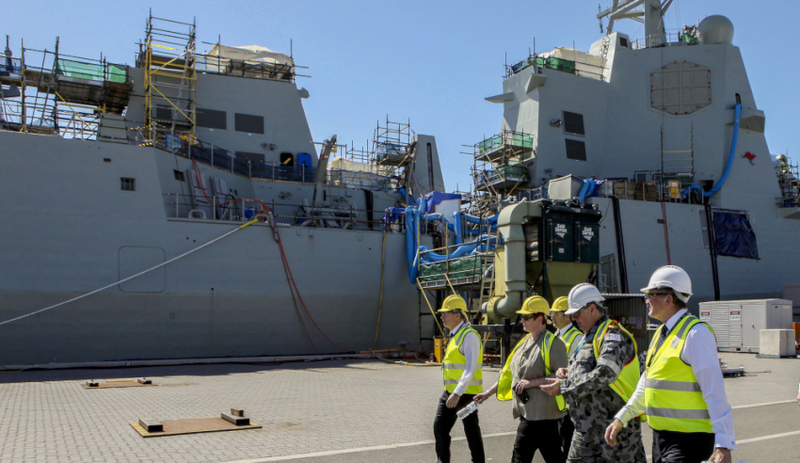 ASC has evolved into Australia's largest specialised defence shipbuilding organisation, with naval design and engineering resources unparalleled within Australia's defence industry. Initially established in 1985, ASC was subsequently chosen in 1987 as the prime contractor for the design, manufacture and delivery of the Royal Australian Navy's fleet of Collins Class submarines. In 2005, ASC was awarded the role of shipbuilder for the Hobart Class Air Warfare Destroyer project. These are the most advanced and complex warships ever built in Australia and are being constructed at ASC's state-of-the-art shipbuilding facility, ASC South, located at Osborne, SA.